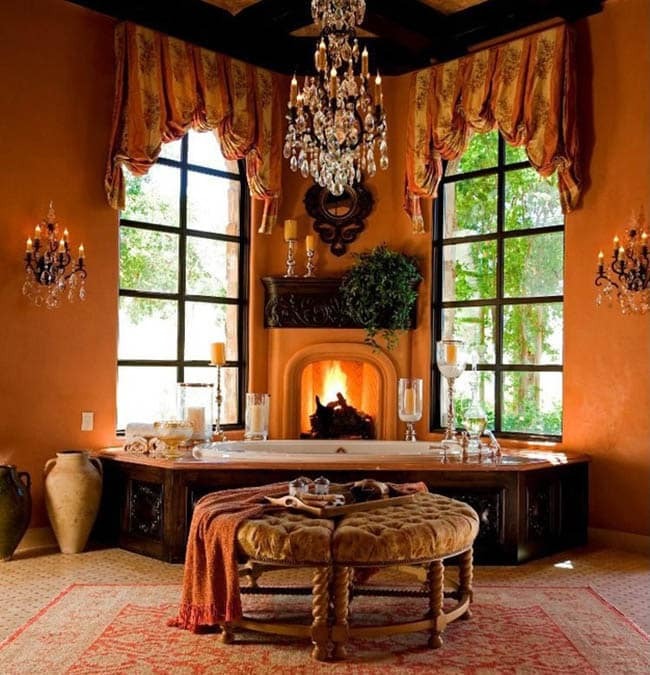 Here we feature colors that go with orange for a variety of interior design room styles, furniture and decor. 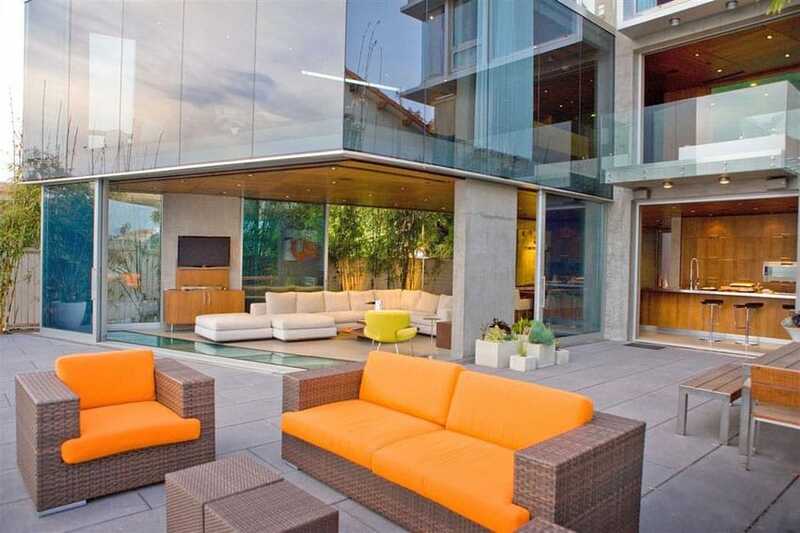 Due to its vibrant, bright and bold nature, the color Orange could be quite an intimidating color to use. If you’re more adventurous with your colors, orange will easily bring out warmth, creativity and happiness in any living space. Albeit a little bit daunting, with the right combination and shades, you will be able to create and achieve many different looks and ambiance using the color orange. Primarily the color orange represents joy, sunshine and warmth. 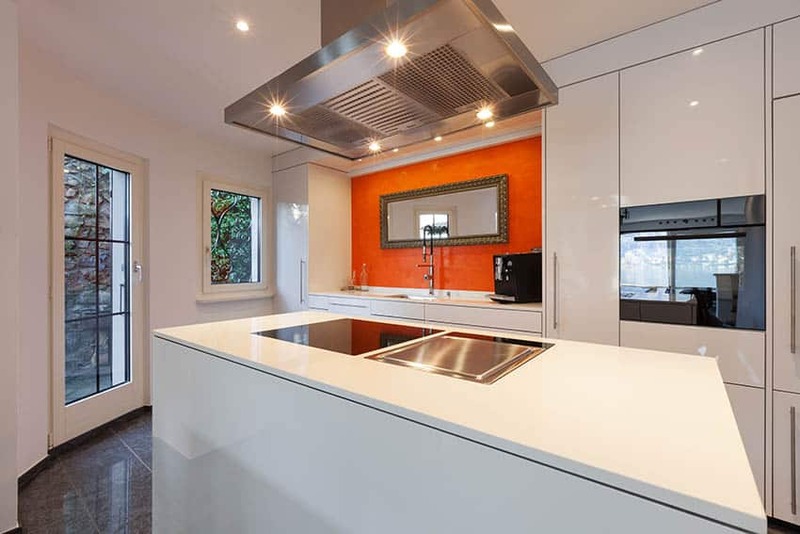 Orange is an inviting color that encourages playfulness and social interaction. The color orange has even been associated with stimulating the appetite and success. For these reasons it can be found used in kids bedroom, game rooms, living rooms and even in the kitchen. 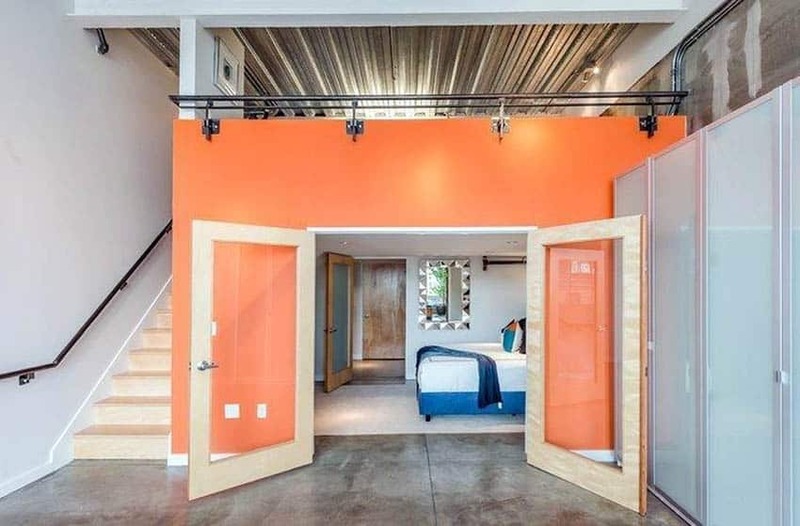 This contemporary living room design features a bright orange accent wall combined with a neutral gray wall color, gray carpet and platform bed. Additional orange is found in the decor such as on the bed pillow and wall art to help tie the color theme together. 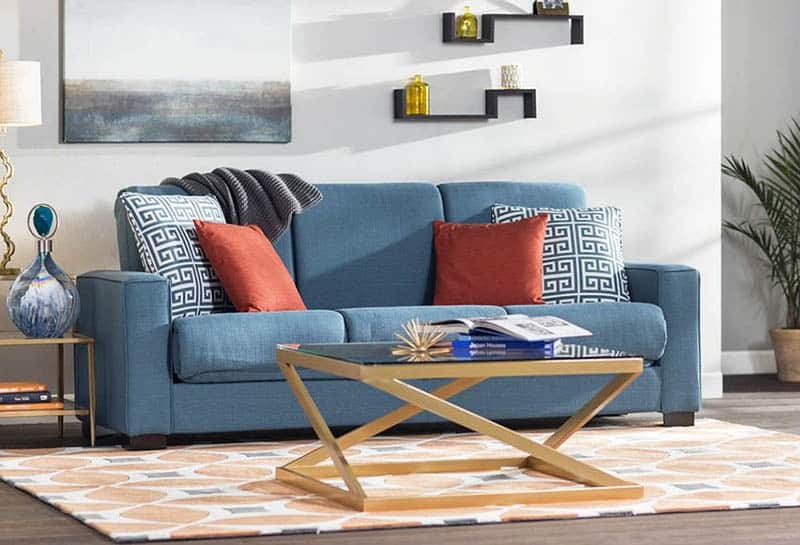 Blue – a direct complementary color of orange which creates a bold and stunning contrast, bringing out the best on the two colors. 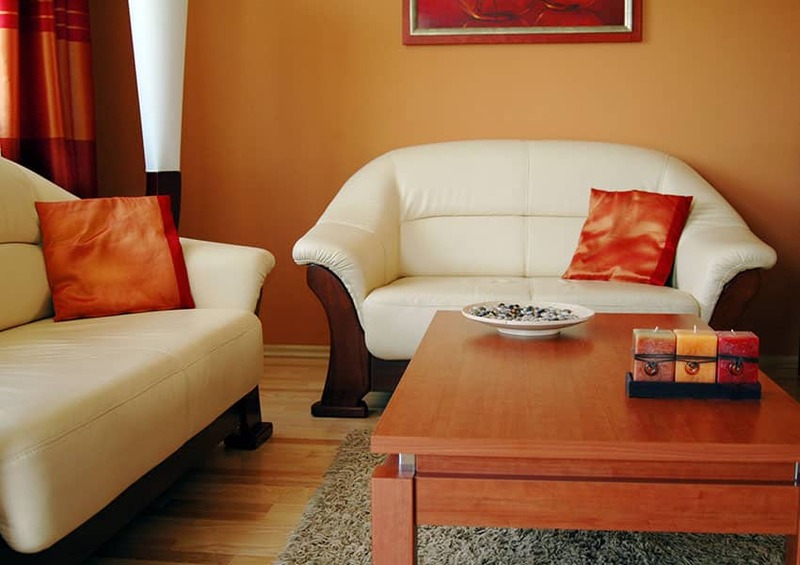 For orange walls, the safest color curtains you can use would be white, beige, and cream. 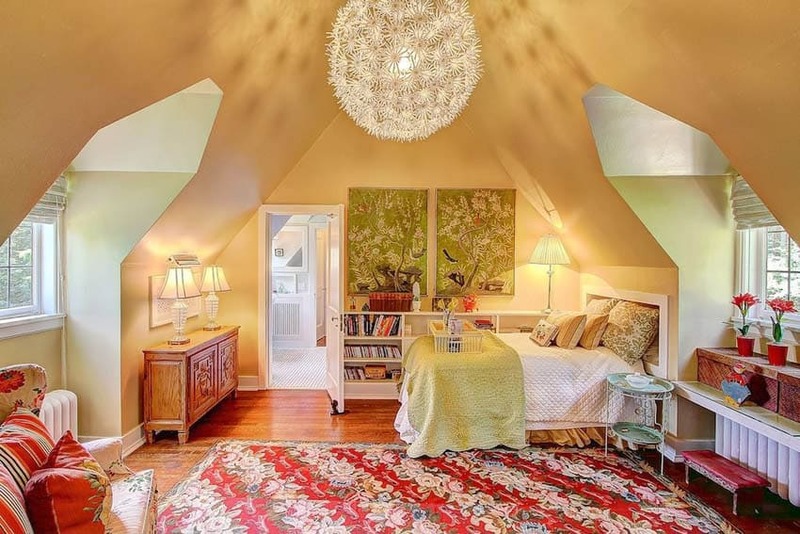 These neutral colors will help tone down the brightness of the orange walls, or even emphasize the soft look of the walls if a lighter orange was used. These colors will definitely work no matter what shade or hue of orange you use. 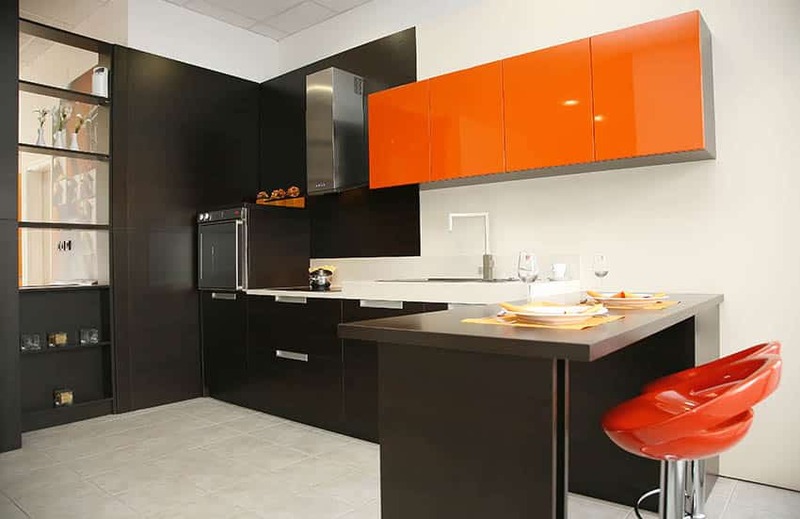 You can also use black for this, as it can also match with any shade of orange, but do note that using black with orange can look quite bold. If black is too bold or extreme for your tastes, you can try using neutral grays and browns, being very careful with the shade selection as gray & brown has a lot of different undertones. 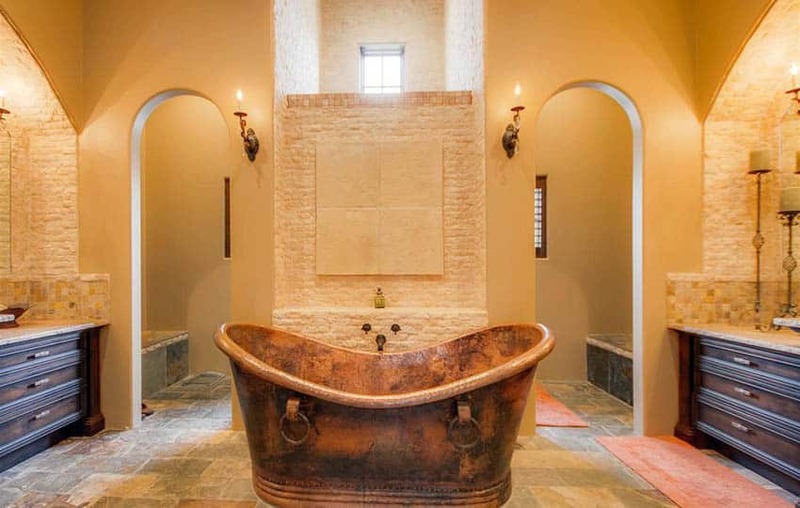 These colors are the best and safest colors you can use with orange walls, and which will also look good on any other wall color. You can also experiment with other colors such as blue, turquoise, pink, other hues of orange, etc, making sure that it matches well with the shade of orange you use. 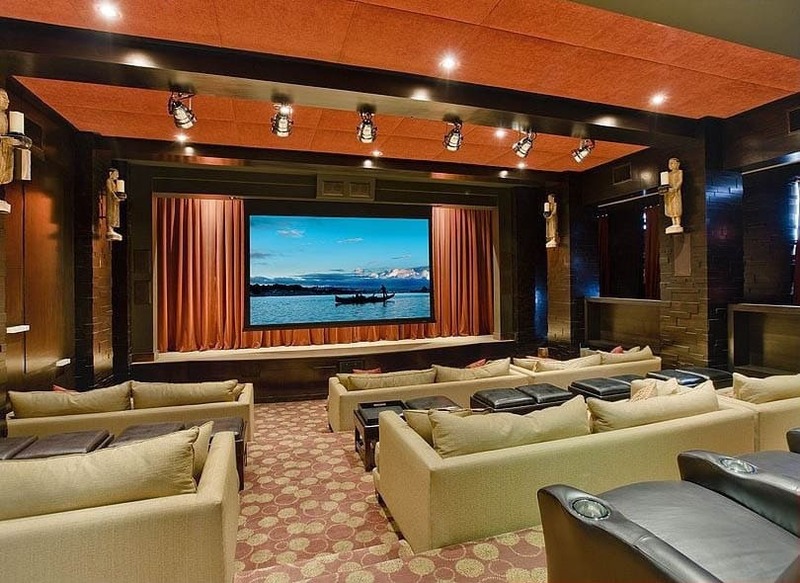 This large home movie room features orange in a variety of ways such as in its projector screen curtains, soundproofing and accent pillows. 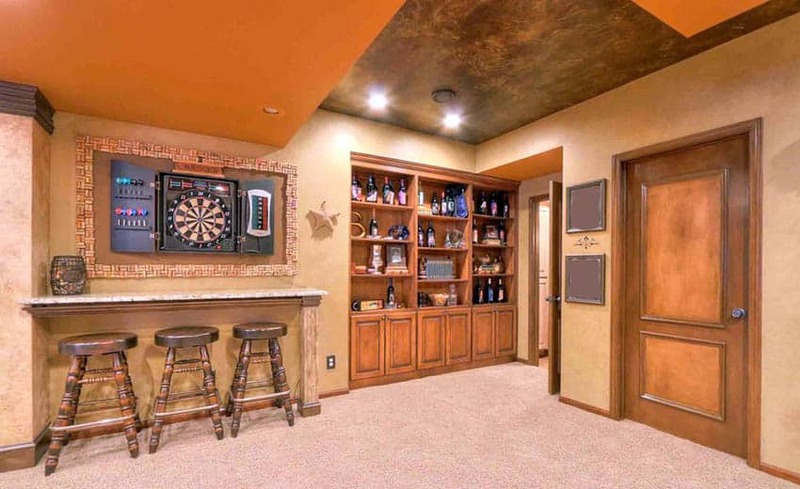 This game room showcases an orange painted accent ceiling which utilizes a creative way to bring the color in to the design. 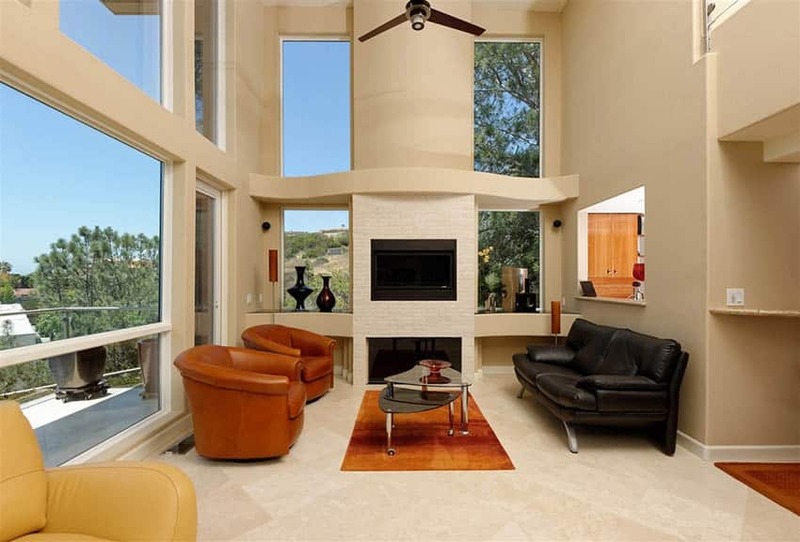 This large living room features high ceilings that are painted in a tangerine orange color. 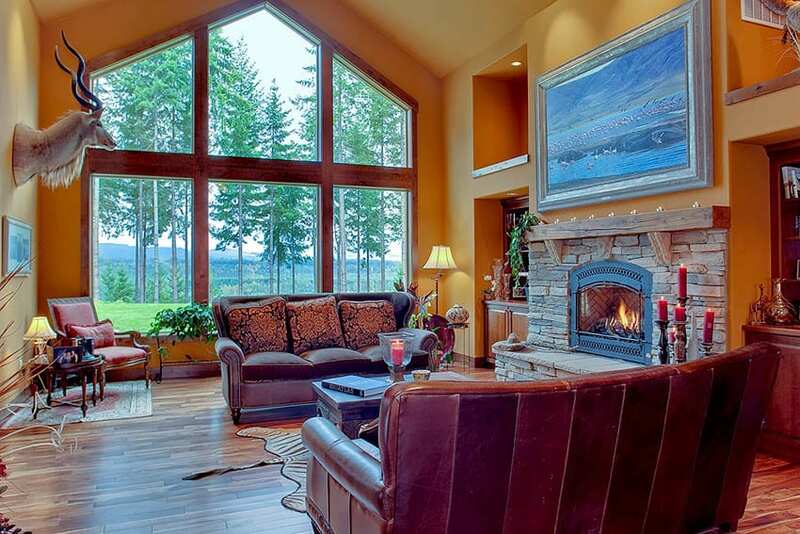 Red leather furniture and rich wood floors help give this room an uplifting rustic style. 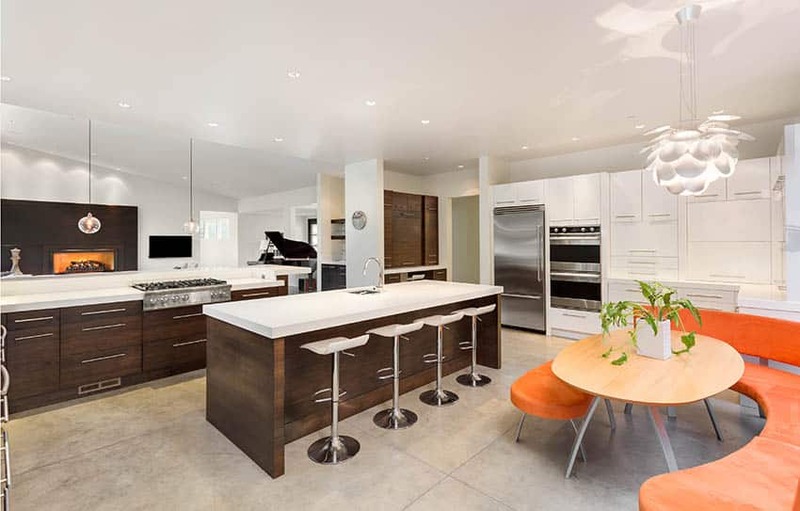 Orange leather arm chairs and other orange decor such as area rugs, artwork or lamps can be another way to bring the color in to your interior design without needing to paint the walls the color. 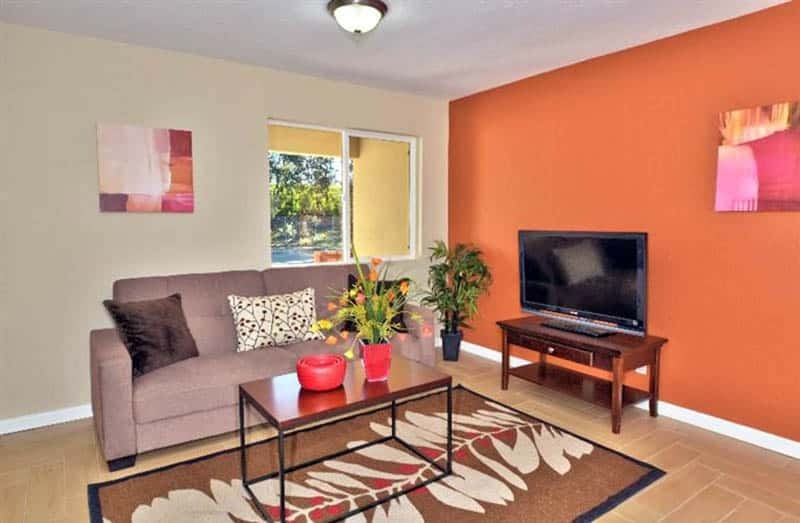 An orange area rug and throw pillows can be a way to add visual interest and compliment your room with the color. 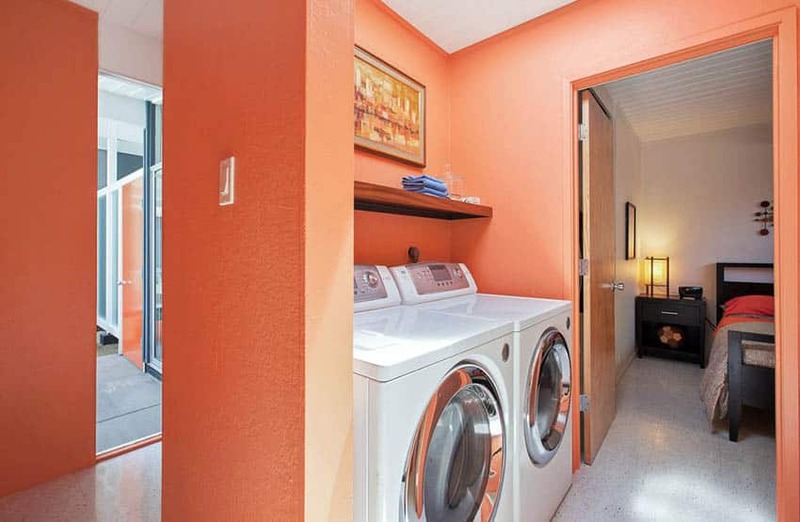 An orange painted laundry room is a fun way to take some of the drudgery out of this popular household chore. Orange has been shown to increase feelings of energy and abundance which may be just what you need during dreaded laundry day. 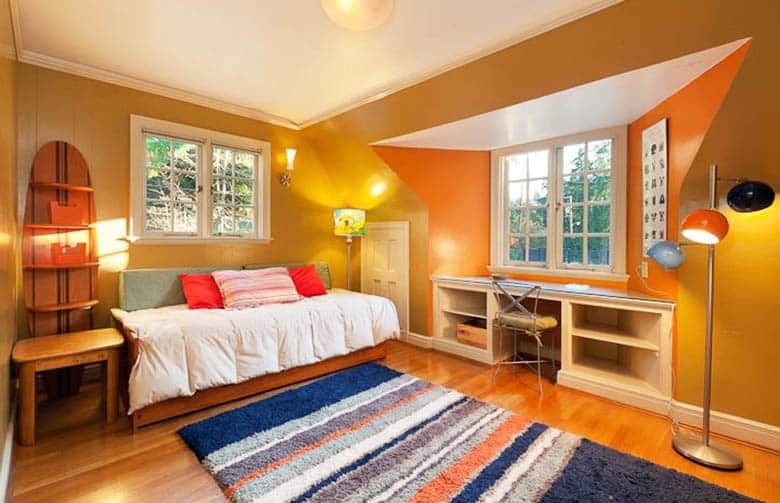 This teens bedroom uses a bright orange for its built-in desk area and a gold color for the rooms primary paint color. 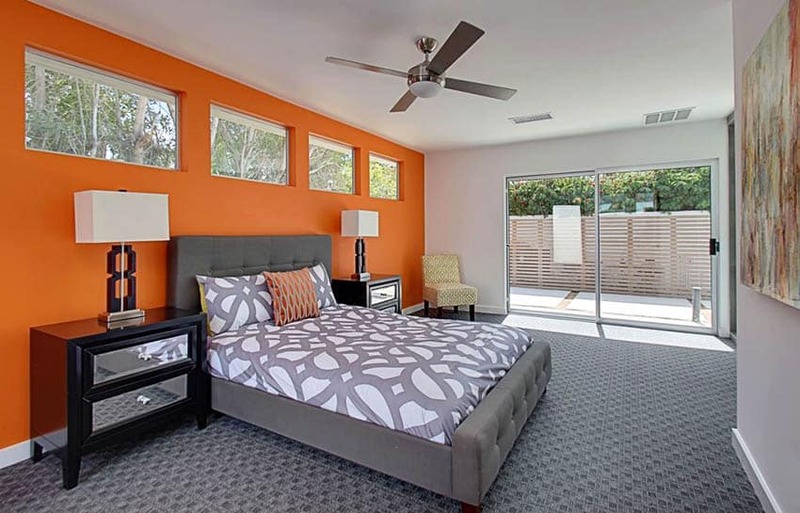 Light color hardwood flooring further enhances the orange theme of this bedroom. 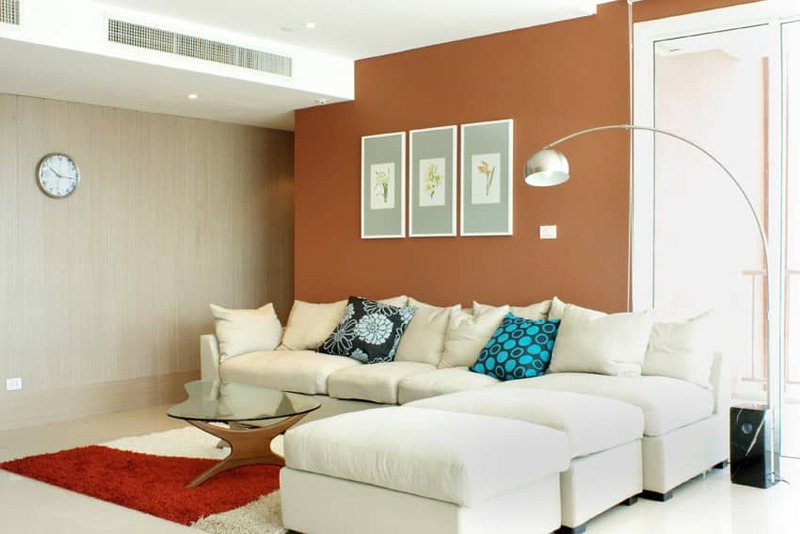 This cozy living room design offers a burnt orange paint accent wall contrasting against a white sectional sofa and beige textured wallpaper wall to create an inviting space. 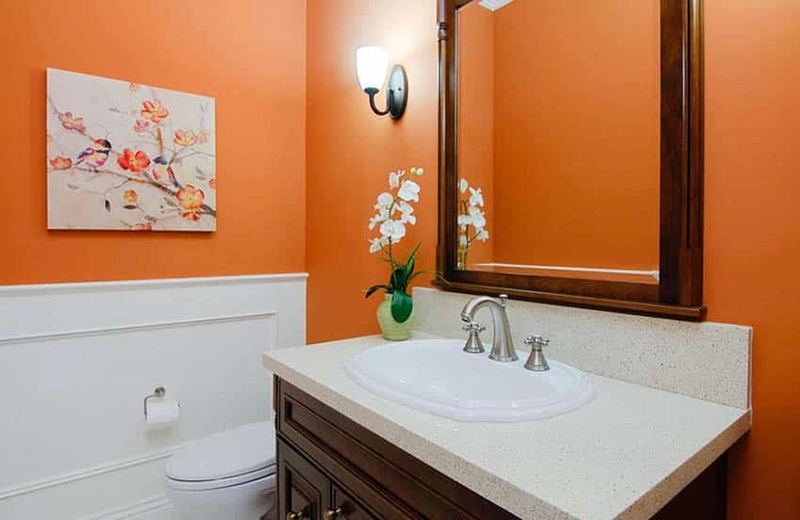 This guest bathroom features a bright tango orange paint color combined with a white wainscoting for a refreshing design style. For more ideas about matching colors with orange, visit our article about using the color wheel to find complimentary shades.